What Is Phlebotomy | What Is A Phlebotomist? Have you ever heard of a profession called phlebotomist? If not, then you have come to the right page, where you can learn about the different information on what a phlebotomist is, and some other relevant information pertaining to this profession’s responsibilities and duties. A phlebotomist is a professional in the medical field, whose job is to extract blood from patients, in order to use for laboratory tests and other medical procedures that needs blood samples. The job of a phlebotomist is highly in demand, especially when it comes to hospitals, medical facilities, clinics, and laboratories. Although nurses and medical technologists also performs the job of a phlebotomist, the demand for this type of professional is still highly needed, in order to make the job flow in a medical setup smooth and organized. Almost everything that you need to do in a hospital, if you need to undergo a specific diagnosis, will always require drawing/extraction of blood. If you ever had this kind of action in a hospital or clinic, then you have probably met a phlebotomist already. Nonetheless, in order to be hired, as a phlebotomist in any of the working facilities listed above, one has to be a licensed or certified phlebotomist first, which can be obtained by finishing a specialized course for the profession, and with the proper training. The person should be at least a high school graduate, in order to be qualified for a phlebotomist course. If the high school diploma is not available, a GED will be required. Finish a short training course. Gain experience from working in a medical facility. Furthermore, before thinking of becoming a phlebotomist, you must understand what a phlebotomist is, and what kind of attitude they should possess, in order to be the best in your field of work. Since you are likely to work during extended hours, you have to be hard working. 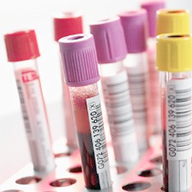 What Is A Phlebotomist’s Expected Compensation? The salary rate of a phlebotomist will definitely vary from one employer to another, as well as the education and experience you have to offer. For a non-experienced phlebotomist, expect that your rate cannot be higher than $10 per hour. Being a phlebotomist is one of the most promising careers in the medical field. A lot of people interested to become a nurse or a doctor someday start out as a phlebotomist first, so they can have a feel of how a medical work setting is. After knowing the different factors on what a phlebotomist is, and you are still interested to become one, there are many schools, vocational colleges, and even online facilities, where you can inquire on how to get a course for phlebotomy.